The dog´s body is an ingeniously constructed system, if it is not selected by breeding madness to the edge of a caricature. 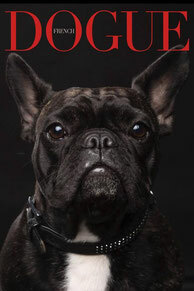 - gesunde-bulldoggen-coms Webseite! 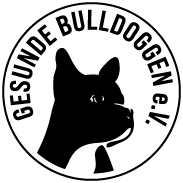 Welcome to the English information homepage of Gesunde Bulldoggen e.V. (Breeding Association for Healthy Bulldogs). The german Homepage was launched in 2010. 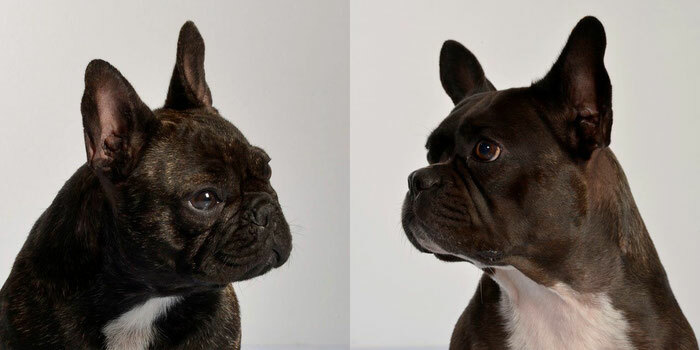 Since the beginning we initiated discussions about a number of topics, shared important research results and experiences about the complex world of health around our beloved breed: French Bulldogs. Gesunde Bulldoggen literally translates to Healthy Bulldogs. That says a lot about our objectives and ideas. During our research we have often wondered ourselves if the term ‘Healthy Bulldog’ is a contradiction in itself, given the breed-related health problems that are unfortunately occurring in this wonderful breed and with we are confronted with during our breeding plans. We do not claim to have found the perfect remedy and never promised to never breed unhealthy French Bulldogs. Unfortunately, this promise would be completely unrealistic in any breed. Our breeding goal is a healthy French Bulldog and this is, as mentioned throughout the pages, possible to reach in various ways. Experience with us the French Bulldog as a cheerful companion, who can be a powerful friend of humans without any physical exaggerations causing illness and discover how the robust, little molossers delight their humans with joy of movement and energy. Read your way through our selected topics and experience our moderately bred bulldogs by means of photos, videos and x-rays. The current discussion about this breed, its breeding, fashions and quality of life has inspired us to translate part of our homepage into English to reach a greater audience. The intention is to give the English-speaking people access to our educational work and we hope that this has been achieved. We apologize for any translation errors, as we are no native speakers. The dog´s body is an ingeniously constructed system, if it is not selected by breeding madness to the edge of a caricature. Fit for function, because movement means life. German Homepage Gesunde Bulldoggen e.V.